Join us for today’s romantically flavoured Happy Hunting! in the treet.tv studios in Garden of Dreams at 3pm, Friday 8th February 2013, with Cinders Vale and Rosamoo Mendelsohn and an interview with Glitch Axelrad of MadPea, who will be talking about the group’s latest amazing Legend of the Month Hunt – Love Potion 9.9. 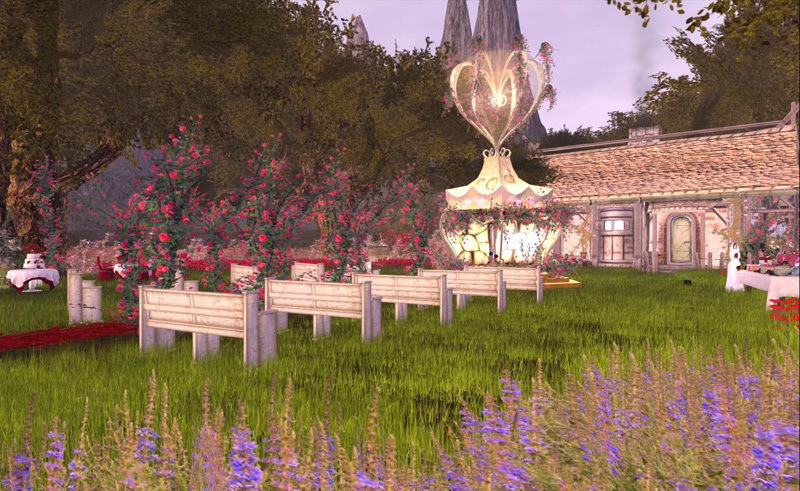 There are two important “Dates” coming up – Mardi Gras on Tuesday February 12th and Valentine’s Day on February 14th (which is, of course, also V-Day for One Billion Rising – which is seeing a huge celebration in Second Life). Both days, of course, have led to some great Second Life Hunts, and Happy Hunting’s News Reporter Rosamoo Mendelsohn of Hunt SL has been out hunting for some amazing prizes and hunts to do – and will be bringing news of them to the studio! 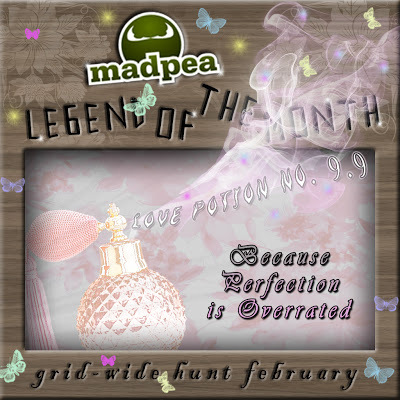 And Cinders will be leaving the studio to talk to Glitch Axelrad of MadPea, who will be telling her all about the latest MadPea Hunt, and giving her a glimpse of a stunning hunt location! Plus there will be news from Rosamoo of exciting hunts that lie ahead! So join us at 3pm today in the studio for the broadcast. Bring along your hunter friends too. We will be glad to have you all join us for the show. Or – if you can’t attend in person – tune in at 3pm SLT on Friday for the live show on the Happy Hunting! channel on YouTube (it will go live at 3pm!) – where you can now chat with other audience members and even some of the participants during the show – or catch it later in the week on our shows page on the Treet.tv web site at http://treet.tv/shows/happy-hunting. Please note that for technical reasons, this week’s Happy Hunting show will be on YouTube rather than live on treet.tv. It will, however, be available soon after broadcast on the treet.tv channel. Next Post: Age and Avatars and One Billion Rising – two talks today at Virtual Ability!